We finish the oneness exhibit in beauty with a bio bal populaire, something like an organic popular party. 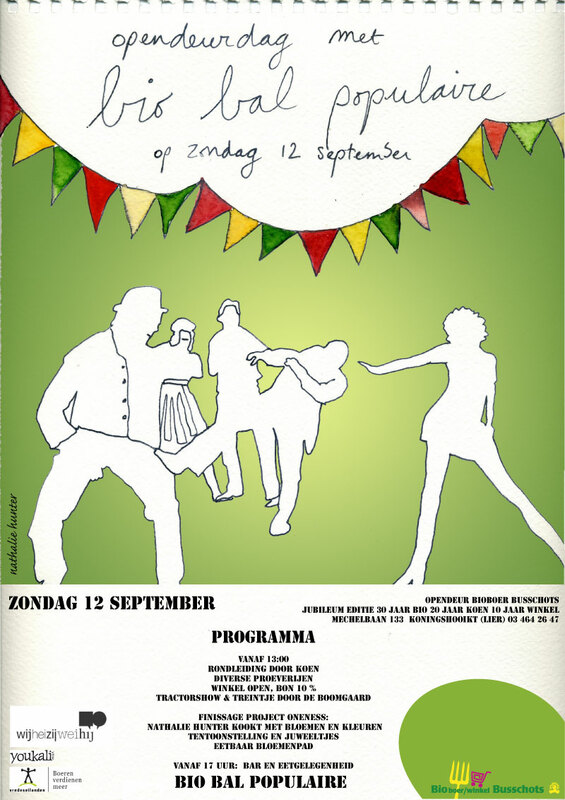 I’ll be cooking with flowers and colors, you can taste that from 1 pm onwards, Koen will give some tours in the farm. There will also be an oldtimer tractor show, lots of things to taste and to feel, so if you feel inspired, be our guest! The paintings and drawing can be seen for the last time, and you could also check out the oneness jewels, enjoy.